Find out what you need to know about choosing the right auto insurance. Auto insurance is a necessary component of car ownership. You need it to protect you from dangers on the road. While you may opt for the cheapest policy, it’s often not the best policy. Don’t let your coverage fall short, and be wary of cheap coverage. Learn why you may be better off choosing a more comprehensive policy. When you choose a cheaper policy over a more expensive policy, keep in mind that you’re getting the most basic policy possible. Should an accident occur your coverage limits often won’t be enough to cover all of the damage done. 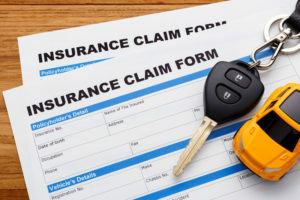 That means that you’re left paying the difference out of pocket, which often winds up costing more than a comprehensive auto insurance policy. When you choose a cheaper policy, you get what you pay for. Traffic accidents can cost lots of money when it comes to liability. From medical bills to damage repairs, it’s important that you have enough coverage so that you’re able to cover the cost. The less expensive your policy, generally, the less liability coverage you have. Rethink your cheap auto insurance policy, so that you can ensure that you’re covered with the right liability insurance. There’s usually a catch when it comes to your cheaper policy. While you may be paying less in monthly premiums, you don’t have as much coverage as you need, and you have higher deductibles. That means that if you must use your insurance, you’re paying more in the long run. Save money by investing in a comprehensive policy. When it comes to choosing the right auto insurance for your needs, bear in mind that inexpensive coverage may not be the best option. Get the coverage that you need. Contact the professionals at Robert J. Los Insurance Agency to find you the right insurance plan. Located in Hamburg, New York, we serve all your personal and commercial insurance needs.